We’re used to seeing rectangular tea bags at the bottom of our teacup. No offense to the rectangle, but there’s a whole world of shapes and angles beyond the parallelogram to explore when crafting a tea bag or infuser. Like clay, tea bags are a medium for creatives to sculpt into small works of art. We’ve sourced 10 cool tea bags that will delight your senses and upgrade your tea drinking experience. Purchase or DIY, then enjoy! These adorable polaroid tea bag tags from Photojojo! 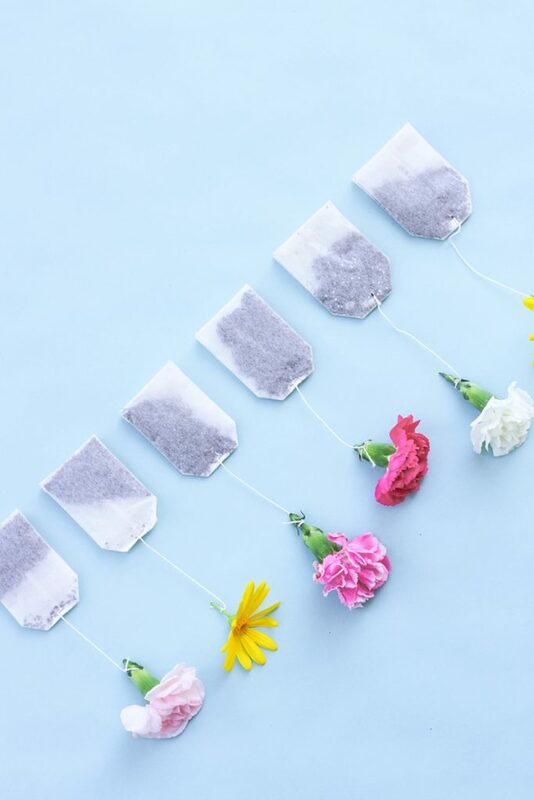 are a fun DIY project to personalize your store-bought tea bags. With some card stock and photos, you can transform teatime into a miniature art gallery. 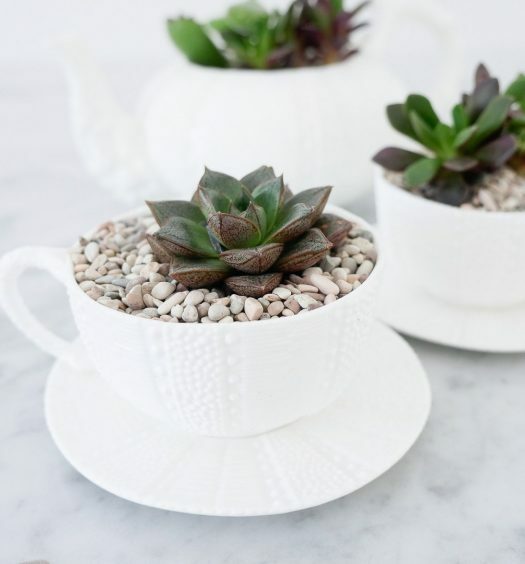 This is a perfect way to enhance the theme at a bridal or family tea, and makes a great gift! 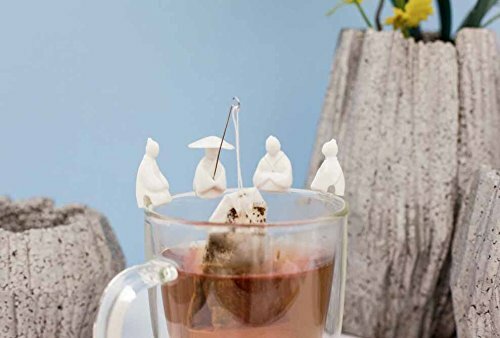 Ever feel like your tea bag’s missing a gaggle of fishermen? This holder from Kikkerland is here to help. Based on the Chinese legend of Jiang Taigang, a fisherman who believed that fish would come to him when they were ready, these tea bags holders evoke the virtue of patience as the fishermen hold your tea bag until it’s steeped. We could all use a good reminder to be patient, and these tea bags are the perfect cultural inspiration. 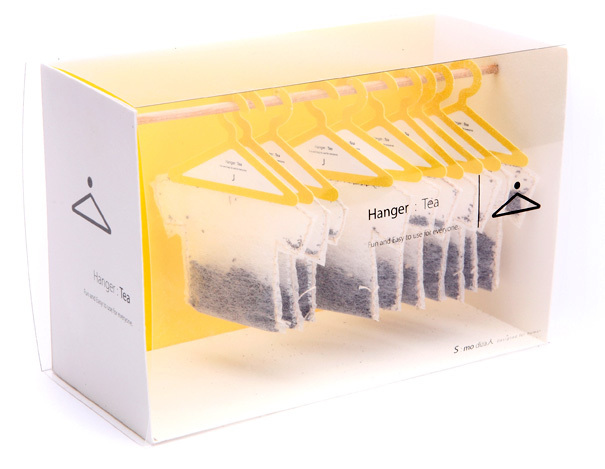 These tea bags from Yanko Design look like a t-shirt on a hanger, perfect for the guy or gal for whom a cup of tea is as essential as getting dressed in the morning. 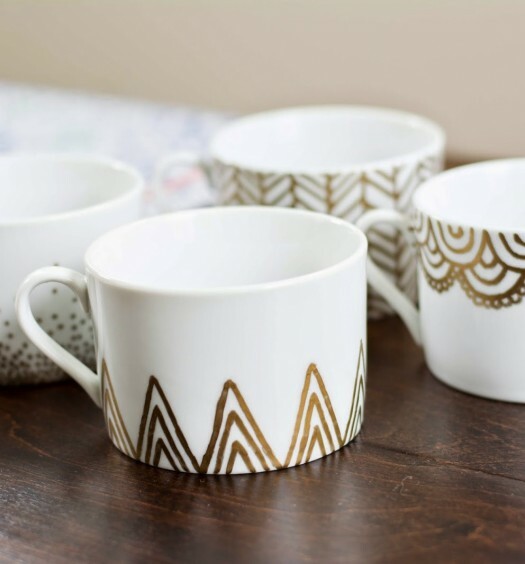 Sleek and simple, just hang the tea bag on the edge of your mug and add hot water. What could be more picturesque than a butterfly perched on your cup of tea? 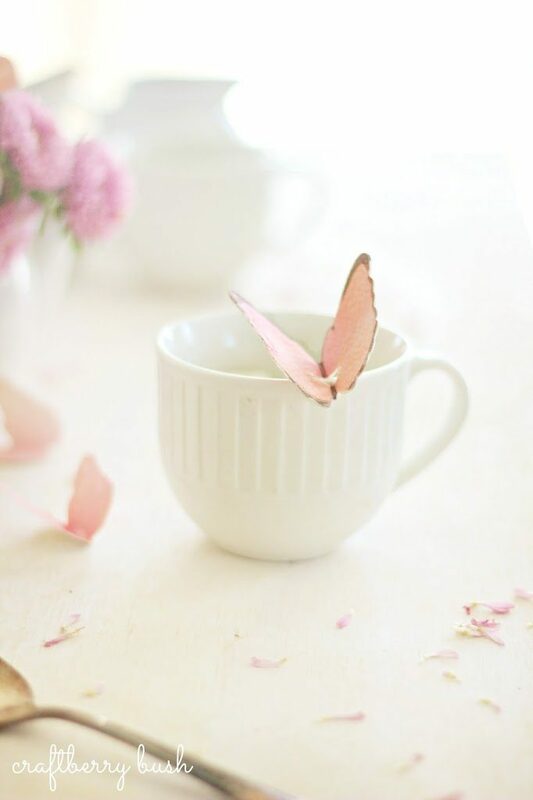 These DIY butterfly tea bag tags from Craftberry Bush add a touch of nature to your beverage. They’re a fun project for kids on Mother’s Day, or a great craft for a bachelorette tea party or gals’ function. 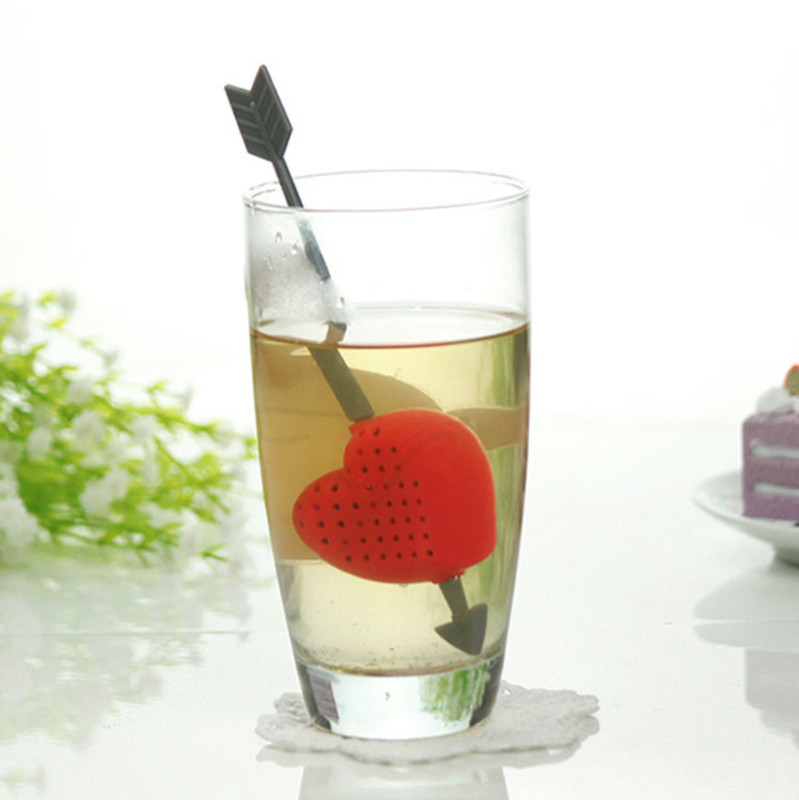 This silicone heart and arrow infuses a little romance into your cup of tea. Pack the heart with loose leaf tea and stir with the arrow. Feel the love as you sip alongside Cupid’s arrow. Great Britain and tea go together like PB & J. It only makes sense, then, that design company Donkey crafted a tea bag that makes your cup of tea the First Family’s Jacuzzi. 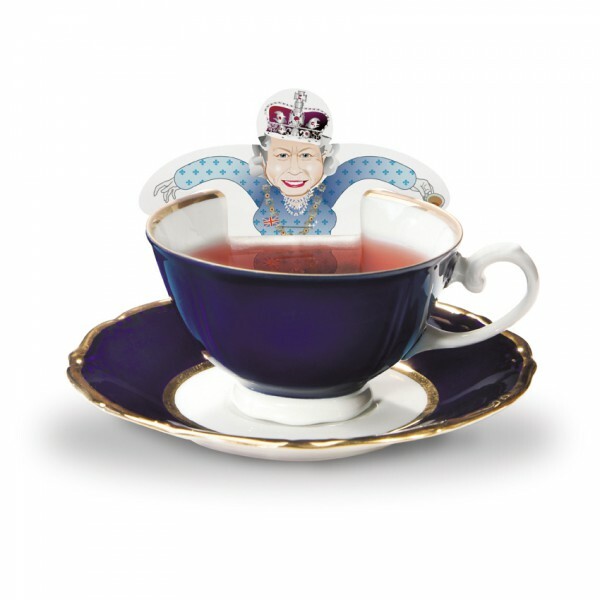 When you want to class it up with some royal company, take your pick from Queen Elizabeth, Charles, Camilla, Harry, Will, and Kate tea bags. Donkey also sells tea bags that look like Elvis, Holly Golightly, and Angela Merkel when you’re feeling cinematic or German. Drinking tea makes your mind go places. 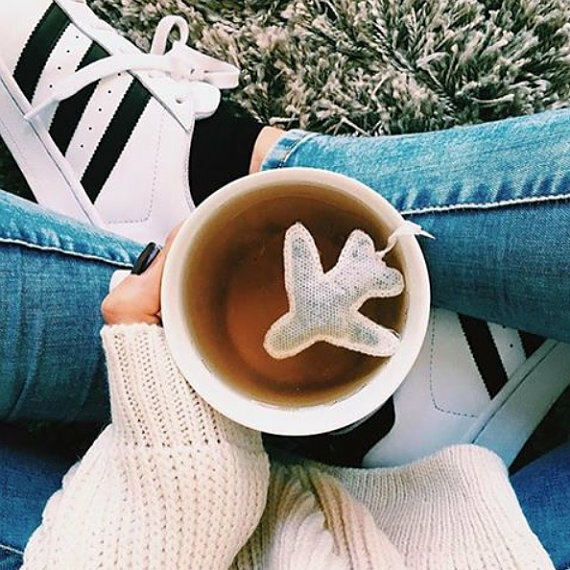 Now your tea bag can match that contemplative state with a cute airplane tea bag from Tea Heritage. Let your mind wander to distant lands and ponder global ideas as you sip your plane-soaked brew. These DIY flower tea bags from kipi add a stunning floral touch to teatime. Major bonus: it’s super easy! All you need is a pair of scissors, a bunch of flowers, and tea bags to give your beverage a pop of color and class. 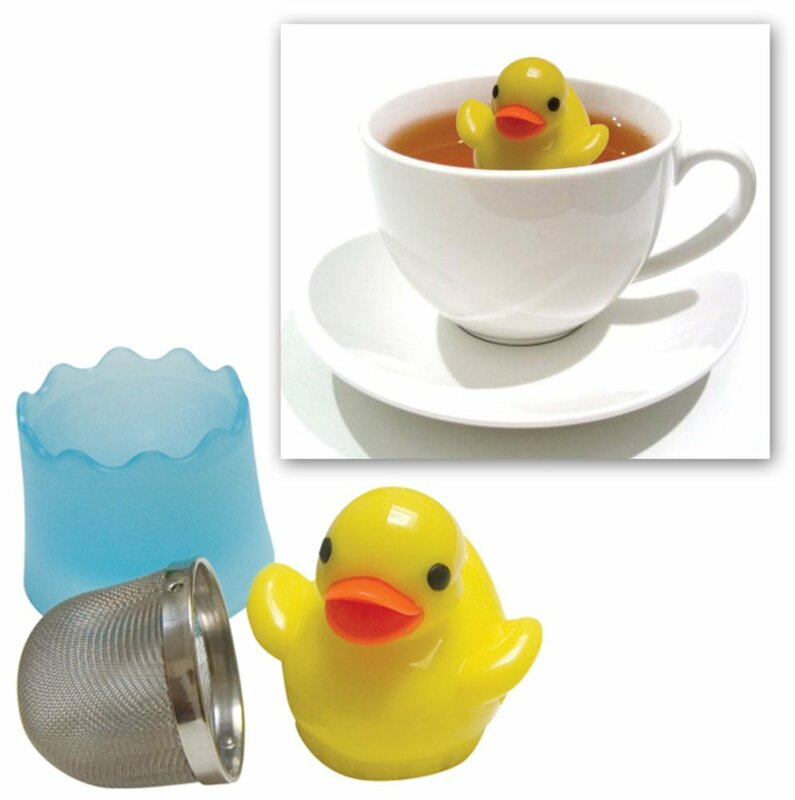 This duckie tea infuser brings the classic rubber duck to your cup of tea, perfect for the young tea drinker in your life, or one who’s young at heart. 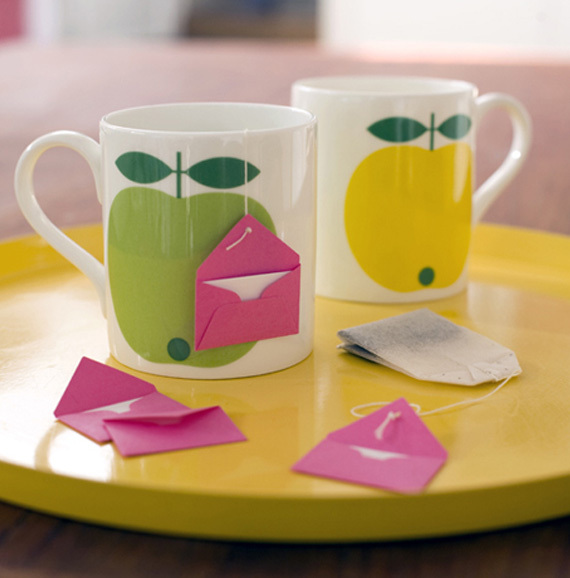 These personalized DIY tea bag notes from Oh! Crafts are a great gift for the tea drinker in your life, or even for yourself when you need a cute little reminder like “be kind” or “relax.” Simply attach a mini envelope to a tea bag and insert a sweet or encouraging note, quote, or memory. Create a set as a gift, or make them now and then for your sweetheart, roommate, or parent for the occasional pick me up.